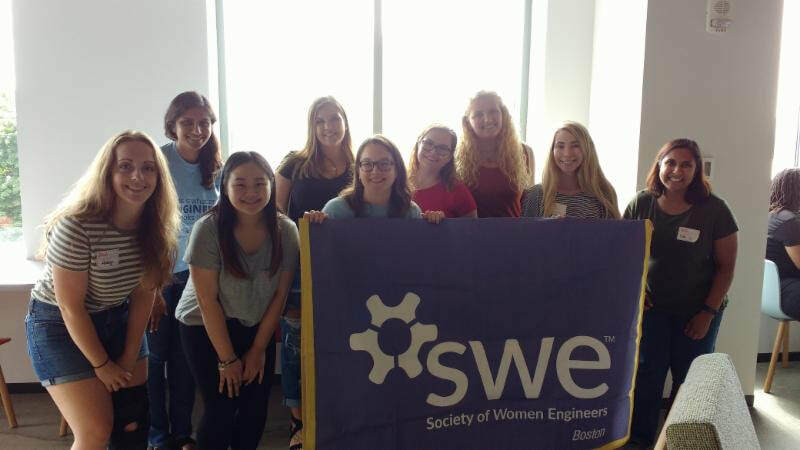 9 SWE Boston volunteers spent their Saturday morning helping young girls learn about engineering design and budgeting! 17 girls and their Big Sisters came to the NERD Center in Cambridge to build towers out of household items like spaghetti, popsicle sticks, and gum drops. We saw some very creative designs and were thrilled to hear the girls share what they learned about the design process at the end of the day! "Girls Are Great Engineers!" is a 2 hour workshop hosted by SWE Boston to introduce young girls to engineering. This workshop is part of the Big Sisters of Eastern Mass "Big for a Day" program (http://www.bigsister.org/about-us/programs). At this event, you can expect 30 Big and Little Sister pairs exploring different stations, having fun and learning about engineering principles. The event includes activity stations hosted by the Boston Society of Civil Engineers, the Optical Society of America, Instron and SWE Boston. We are looking for SWE volunteers to help at the SWE station, sharing your excitement and interest in engineering! We will be facilitating the "Tower on a Budget" activity where girls will "shop" for their materials and try to build the tallest tower. Please contact Ellie Sanford at outreach@sweboston.org if you are interested in volunteering.